Okay, so you want to start a blog. I’ve read several articles that say, “start a blog for $3 with these 3 easy steps in 15 minutes.” Honestly, that’s kinda bogus. 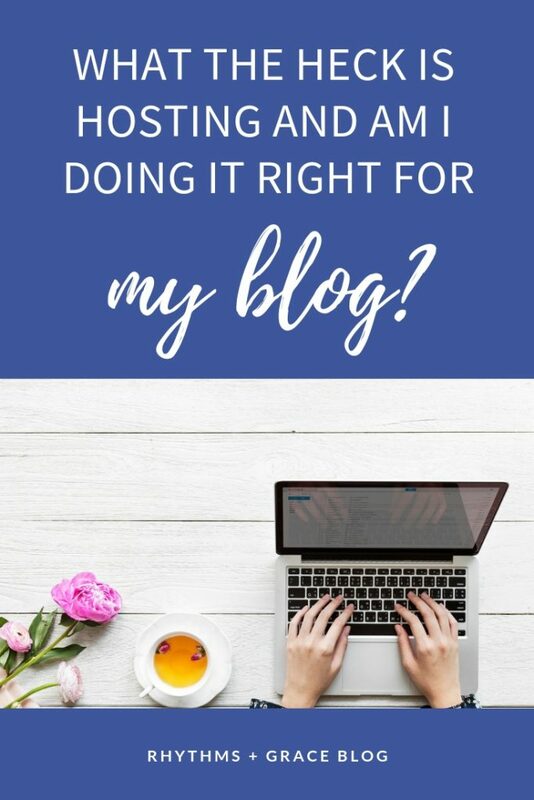 When I first wanted to start a blog, I was so confused. 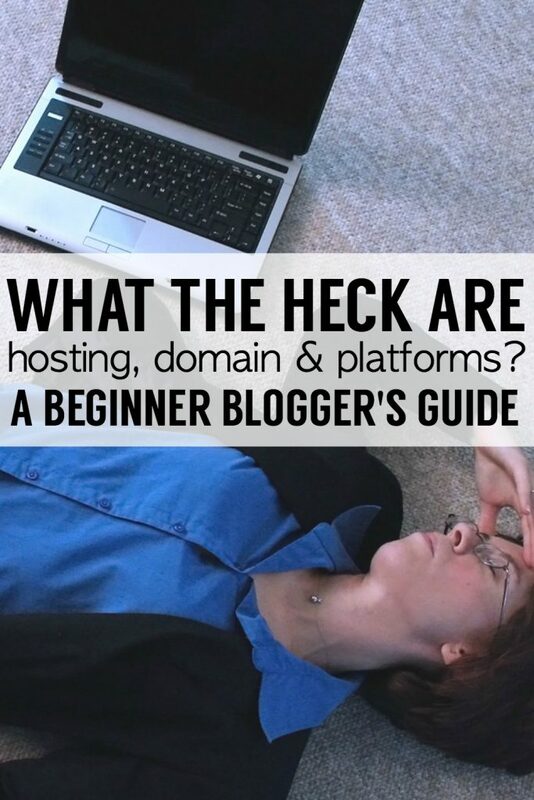 Hosting, platform, domain… what the what!? I dug around to kinda sorta figure stuff out and started a blog with what I thought made sense at the time. Several years later, I decided I wanted to turn my side-hobby-family-journal-type blog into a business. And, I had to start all over digging around to figure out the difference between running a blog as a hobby and a business. If you google “how to start a blog,” you will get about 650,000,000 results in .55 seconds. Spoiler alert – this information I’m about to share is already on the internet. But it was super hard for me to figure out from most tutorials I read. Maybe I’m just slow. Or maybe nothing I read was really clearly spelled out for beginners. Who knows! A platform is the service you’re going to write your blog on. It’s where you want to build your blog. There are several options for blogging platforms. Blogger and WordPress.com are 2 of the biggest free platforms. I blogged on Blogger for 4 years and it was easy to use. 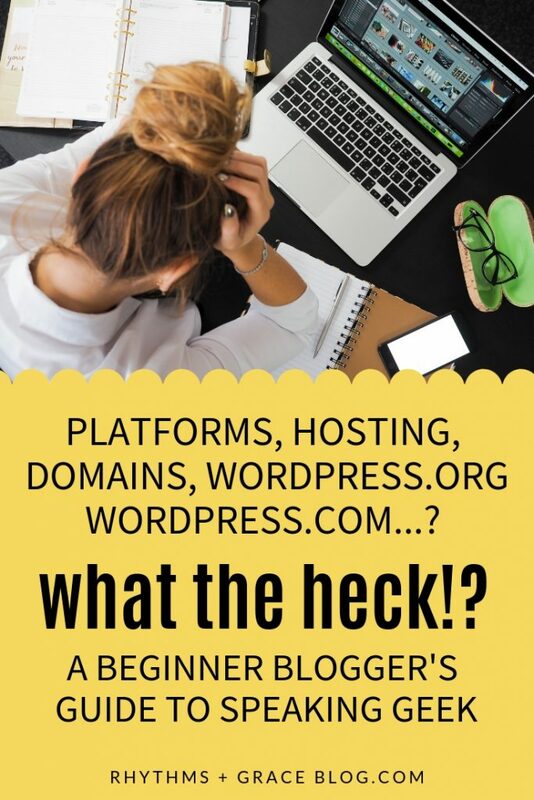 You can start on blogger or wordpress.com and move to WordPress.org, which is what I did, but it’s a huge HASSLE! If you ever think you want to make money blogging, just start on WordPress.org in the first place. I so wish I would have. Blogger is easier to get started on than WordPress, but it’s more limited in design. If you want anything custom on Blogger, you have to learn to code to add it to your site. There are seemingly easy drag and drop site-builders like Square Space, Wix, and Weebly, but those actually get very expensive over the long haul. They are slightly easier to start with, and great if you just need a website for your business that is really not an online business. But in terms of blogging as a business, square space, wix, weebly, etc… are not really the way to go. Technically, you can start here and decide to switch over to wordpress, but it’ll be close to starting from scratch again. This option is available, but I don’t really recommend it. If you want to start a completely free blog, use blogger, and make your domain name mywebsite.blogspot.com. If you’re going to start on blogger, here’s a good wikihow article. Hosting a blog refers to ownership. On free hosting platforms (like blogger or wordpress.com, not to be confused with wordpress.org), you technically don’t own your site. The hosting company owns the site. There have been cases of the company deleting the blog and there’s nothing you can really do about it because you’re not the owner. This is probably the biggest downside to choosing Blogger or wordpress.com. Also, you can’t monetize wordpress.com sites at all, and your monetization options are limited with Blogger. Blogger is run by Google so you can put Google adsense on there at the least. I never really tried to monetize my Blogger blog beyond Google adsense, so I can’t speak much to the other options with Blogger. I do know you will make WAYYYYY more money with other ad networks compared to Google adsense. I can think of 1 or 2 big income-producing blogs on Blogger, but not very many. After almost 2 years on Bluehost, my amazing husband (who may or may not be a tech nerd) moved my site to be self-hosted on AWS. AWS IS THE BOMB!!! It’s the Mercedes Benz of internet hosting. If you don’t know a tech nerd who is willing to help you, this option is very expensive, which is why I recommend Siteground instead. Siteground will walk you through getting your website set up, or move it for you if you already have a website hosted somewhere else. The Domain is basically the URL. Google.com is the domain name for google. Facebook.com is the domain name for facebook. rhythmsandgraceblog.com is my blog’s domain. You brainstorm domain ideas, find one that’s not taken yet, and then buy it on a site like Godaddy. Or if you use Siteground (my hosting company that I love! ), you can buy the domain through them. Once you buy it, you own that domain and renew it every year or so. Now that you know the gist of what self-hosting, blogging platform, and domain name mean, you can start a blog and hopefully not lose your mind in the process. Feeling brave? Read the next part of my guide, “How to Choose Hosting,” and get started with Siteground in the next 30 minutes. Good luck! Let me know if you have any more questions.